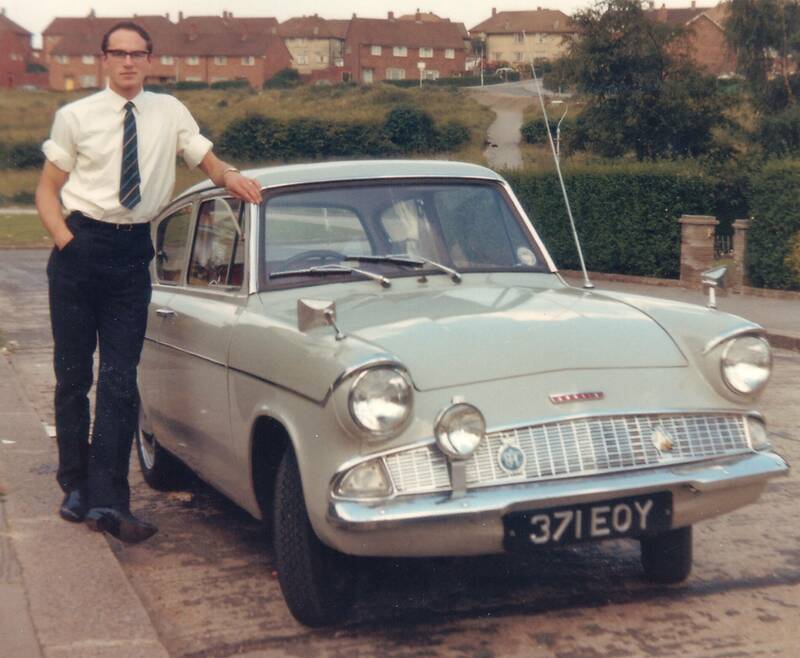 I bought the red Anglia in 1967 as my wife's first car and ran it until about 1980. 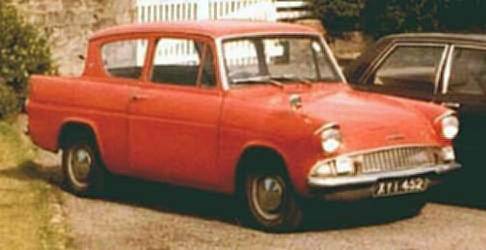 It was one of the first made and had the high axle ratio which together with the very over-square engine meant easy motorway cruising and good fuel consumption - 40mpg overall. It started off Platinum Grey but by 1973 it was getting a bit scruffy so I completely rebuilt the "chassis" and repaired all other rust, repainting it bright red. In all the time we had it there were no mechanical problems and nothing was ever repaired apart from routine services. From 1965 to 1969 I had several Anglias as company transport (one of these was the grey one above) and used to travel up and down the M1 motorway a lot. I would pull onto the motorway stuff my foot to the boards and hold it there for 150 miles - the speedo needle would be jammed against the stop for the whole journey. The average mpg was still about 40 and they would use no oil between 6,000 mile services. The Anglias were always supplied with cross-ply tyres but I used to replace them with Pirelli Cinturatos which radically improved the already good road holding and gave about 40,000 miles so long as they were rotated diagonally every 6,000. 4 cyl. 997cc. OHV. Cast iron. Independent front suspension by Mcpherson struts. Semi-eliptic rear springs and live axle.